Post frame buildings are frequently an ideal solution for budget-driven decision-makers. Fewer materials, less labor, shorter time from design to finish, and more sustainable raw materials are the key drivers to creating a practical and less expensive structure. Ongoing operating and energy costs are an essential cost element, as well. Energy management must always be an important consideration for any building owner. Even with the most expensive, energy-efficient heating, cooling, and dehumidifying equipment available, some buildings require more energy per cubic foot than others to heat and cool while driving up annual operating costs unnecessarily. Architectural designers and builders strive to create an energy efficient building that’s also versatile, expandable and provides a broad span and wide access for multiple uses. Some methods do not fit the bill. 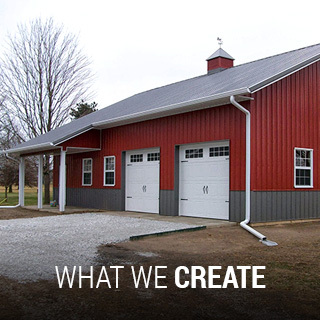 Post frame buildings have proven to be the best solution for fire stations, agricultural buildings, schools, medical additions, churches, municipal buildings, and even residences. 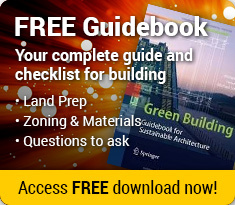 These structures not only save money by using less energy but are also more budget-friendly overall due to the design-to-completion costs that are substantially lower than with other buildings. 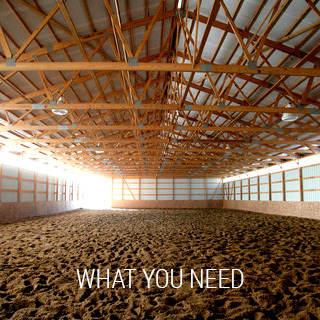 How can a post-frame or pole barn construction be more energy efficient than other types of construction? Concrete is unquestionably sturdy. However, the material has poor inherent energy-efficiency and insulating properties. Concrete, plus all of the additions like furring strips, stud walls, and external coverings required to meet fire codes, add to the construction costs while reducing the overall insulating capability. Constructing a concrete building is expensive from the outset and can be energy inefficient due to the many places where energy can escape. Another relatively popular option is steel frame construction. Since steel itself is a natural conductor, steel framing becomes a poor option for insulating the interior space despite its strength as a material for construction. Framing in this manner requires insulation to be sandwiched between the outer steel and the framing. Insulation gets crimped in “waves” or small sections throughout the building due to the closely spaced conductive steel breaks. Compressing insulation reduces the R-value while the steel columns act as “power bridges”, transferring heat to the exterior during the winter. In fact, steel conducts heat 310 times faster than wood. The broad, 8-foot spacing between vertical supports of a post frame building provides a more continuous expanse of insulating materials. As a result, the installer is not required to “squeeze” the material between vertical beams nor are there as many energy-losing supports that conduct energy to the outside. Wood is used in all of the parts of a post frame structure, including headers, trusses, and vertical support columns and framing. Since wood itself is not an efficient conductor of energy, the combination of widely spaced vertical wood beams throughout and high R-Value modern insulation material evenly installed between the beams reduces the volume of energy that would be lost in other structures. 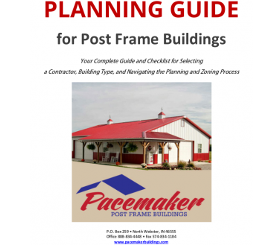 According to Pacemaker Buildings, the abundance of wood components in a post frame building creates an energy-efficiency superiority over steel framing and masonry or concrete block structures. Also “cool metal roofing” formulations add energy savings and have earned Energy Star Ratings. Pacemaker’s Energy Package system teams superior insulation with efficient ventilation for a comfortable and cost-efficient environment. Individuals, civic leaders, corporations, and environmentally conscious community leaders have become more focused on protecting the ecology of the planet by recycling, reusing, reducing waste, and eliminating air, water, and ground pollution for the benefit of future inhabitants of the earth. The concept of sustainability, in simplest terms, is to ensure that the resources of our planet are preserved and protected in such a way that those future generations may also live comfortably. Poisoning the atmosphere, tainting the world’s water supplies, and using up nonrenewable resources is not a means to protect future generations. Let’s compare the sustainable nature of post frame construction with other types of construction. Post frame construction uses a combination of highly renewable wood products plus easily recycled metal siding and roofing. While concrete, masonry, and steel framing materials are products that require significant energy to mine, dig, process, and transport. The extraction of the raw materials leaves irreparable blemishes on the landscape. Trees grown for wood construction materials add positively to the atmosphere while replacements can be continually planted. Conversely, materials used for masonry and concrete are not renewable. Saving on total energy usage is also an important sustainable objective. With more efficient insulating capability, post frame construction adds further to the sustainability of the planet. The benefits of creating a well-designed and engineered post frame building are best assured when working with a professional company that understands exactly how the post frame systems collaborate to create a durable and energy-efficient structure. While post frame construction may appear to be simple compared to other methods (which it is), the process still requires expertise and precision. As with any building, precise execution without compromise is the only way to ensure long-lasting success. Look for an experienced company like Pacemaker Post Frame Buildings to create the structure you need that will last a lifetime. Repeating the same steps unnecessarily is a waste of energy. Major construction projects must be performed with prolonged usage in mind. Concrete and bricks are difficult to repair once any substantial damage has occurred. Vinyl and other plastic sidings can be flimsy. Moreover, conventional steel buildings frequently find their way into the scrap pile. Post frame buildings incorporate the enduring qualities of wood along with a sensible foundation construction to achieve more durability in high winds than other building methods. It doesn’t matter if the support beams are anchored in concrete piers with metal casings for longevity or incorporated into the building foundation. Post frame buildings are designed to withstand all that Mother Nature offers. Because the “diaphragm effect” directs the wind’s forces into the ground, post frame buildings have withstood tornado and hurricane-force winds which crumbled other structures. All of these factors mean lower energy cost and a better return on investment. Saving money on utility costs can be a tremendous saving and contribute mightily to the bottom line. 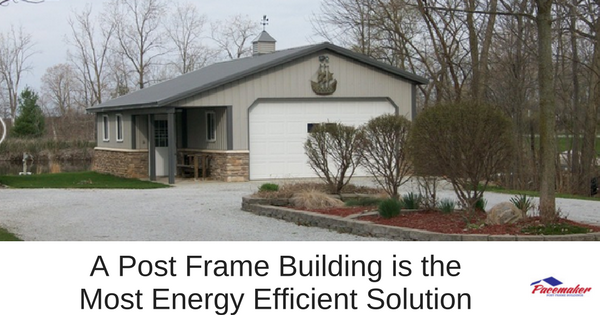 With these attributes and the inherent energy efficiency, post frame buildings are cost-effective, sturdy and labor-friendly – which means you save money without compromising. 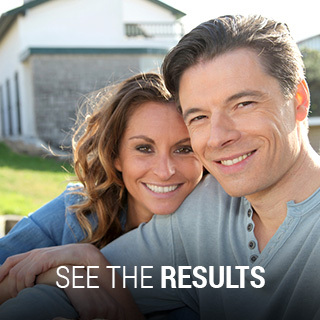 For more information, visit the Pacemaker website or contact the experts at Pacemaker Buildings at 888.834.4448. Learn more about all of the advantages and benefits of this type of construction. One of Pacemaker’s dedicated staff will be happy to discuss your needs and any budget considerations for your new building. This entry was posted in Help Center, Post Frame Buildings and tagged energy efficient buildings, renewable building materials, sustainable building practices on October 10, 2017 by Jack Cripe.